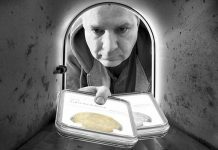 By David Schwager for CoinWeek…. Do you buy your coins new or used? That might seem like a strange question, but it’s a question many modern collectors need to answer. 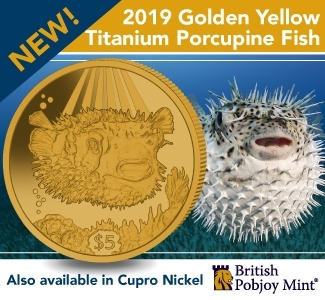 Is it best to buy current U.S. Mint products new from the Mint (the primary market) or from other sources (the secondary market)? The answer depends on the coins, the collector, the collecting goals, and the coin market. Let’s assume that you make that decision with the intention of keeping the coins for the long term. Buying coins to flip takes a whole different strategy covered in other articles and columns. If I could give only one answer to the new or used question, it would be to buy used on the secondary market. 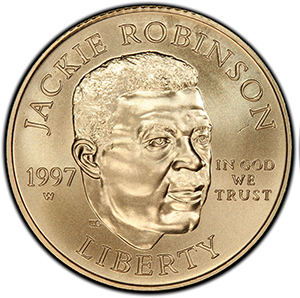 Not all, but most, collector coins decline in value after their first year. This is not a criticism of the United States Mint. 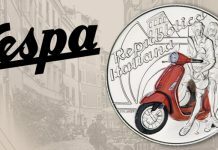 Collectors of coins from any public or private mint are naturally most interested in them when they first appear on the market. Prices are usually a little lower the next year when interest wanes. No-one can predict the future and coin values generally go up over the long term. More often than not, however, a collector can save money buying from a dealer on the secondary market after Mint sales close. That dealer can also help you build the rest of your collection. Top collectors usually work with a few preferred dealers when buying their coins. These dealers set aside better coins for their customers and steer them away from problems. The same strategy can work for collectors at any level. Hopefully, you already have a good working relationship with a dealer, whether a local shop, an auctioneer, or a mail order house. This preferred source can help you find choice pieces and avoid spending unwisely. Buying recent Mint products from the same dealer gives opportunities to strengthen the business relationship, while supporting someone you have come to know and trust. 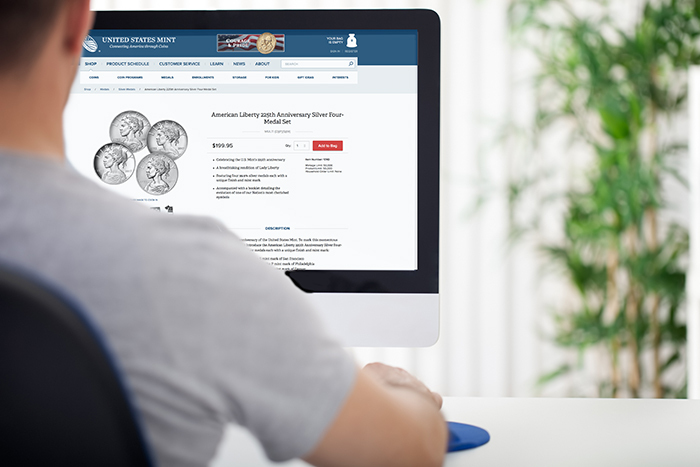 The United States Mint earned its place as the world’s largest coin dealer, but the secondary market is even larger. A modern coin collector wanting to buy on the primary market can buy from one large source. The secondary market, in contrast, includes countless auctioneers, mail order dealers, local stores, coin shows, and individual collectors. Many are large market makers. In addition to the size and number of participants, the secondary market has more variety of coins to offer. The Mint can only offer coins from the current year or a few years back. 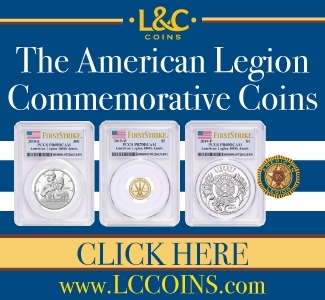 Virtually every US modern coin, however, is readily available on the secondary market. 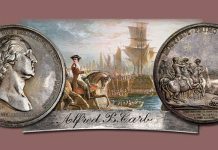 Even if a collector chooses to buy this year’s commemoratives from the Mint, that collector will need to look to the secondary market to build a modern commemorative set. Another question is whether you want certified coins and, if so, whether you have a particular grade in mind. If you are building a matched set of Proof-70 Silver Eagles, for example, the only way to be sure to get a 70 is to buy one on the secondary market already certified. Large dealers serve this market and keep stocks of current mint products on hand in high-grade holders. 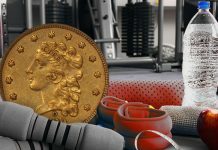 If you want your coins certified, but don’t need an extraordinary grade, buying on the secondary market can give you certified coins for the same price as raw examples. The average commemorative silver dollar, for example, grades MS-69. Typically, a commemorative dollar in an NGC or PCGS MS-69 holder sells for the same price as that holder in government packaging. 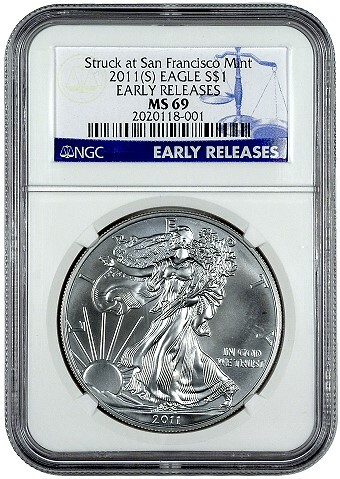 NGC or PCGS charge around $20 to grade a US modern coin, with ICG and ANACS a little less. Buying on the secondary market and letting someone else pay that $20 means you effectively get your coins graded for free. 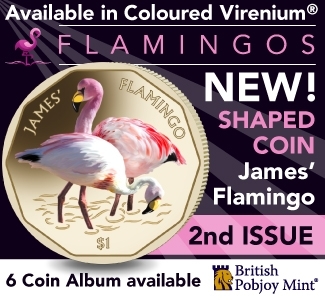 There are reasons, however, to buy coins new from the US Mint. First, this is the fastest way to get your hands on a new issue. 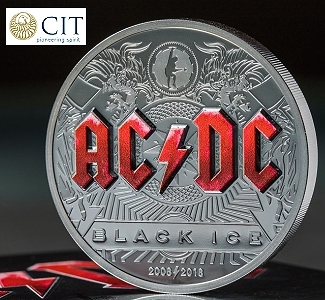 Buy on the opening day of sales and the coins will be in your home in a few days, with no extra days added as they pass through the hands of another owner. The mint occasionally debuts coins at major coin shows, meaning sometimes you can get coins on the first day of issue. 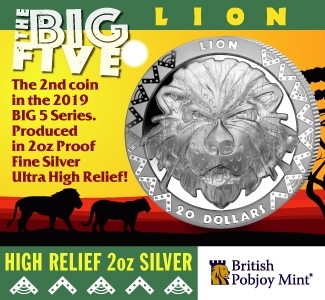 I know a collector, for example, who was first in line to buy the 2017 Enhanced Uncirculated Set when it debuted at the Denver ANA convention on August 1 last year. 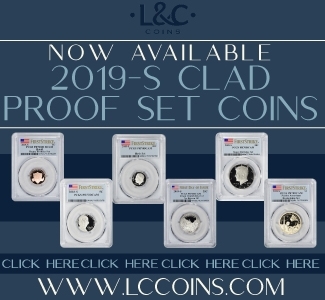 Every year, a few mint products, like the Enhanced Uncirculated Set, sell out on the first day, giving another reason to buy on the primary market. Sold out products go up in price at least temporarily and sometimes permanently. 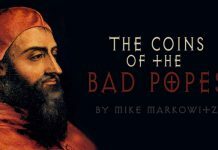 The rule that most coins lose value in following years still applies. For certain products, however, buying quickly off the mint website provides the best opportunity to buy a coin at the issue price before the value rises. 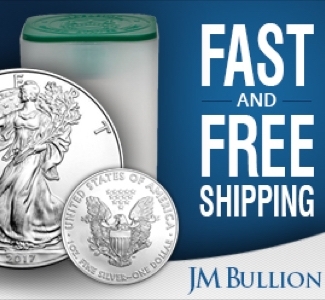 Many sold out Silver Eagles, for example, remain permanently above their issue prices. Some products do not sell out, but are slow sellers that end up with low mintages and become key dates. 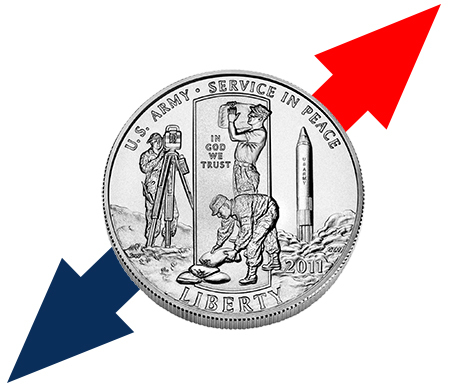 The 2011 Army uncirculated half dollar, for example, set a new low for modern commemorative half dollar mintages, and rewarded the few people who chose to buy them new. Several fractional platinum Eagles behaved similarly. Watch the weekly sales figures on the Mint website and use them to help decide when and whether to buy. Keep in mind that products can go off sale suddenly, although the Mint usually gives its customers plenty of notice. As a last way to save money buying new, purchases directly from the Mint are exempt from sales tax in all states. 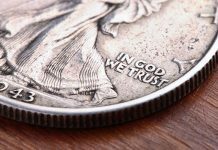 Although the secondary dealer market usually presents the best options, the discussion above gives nearly as many reasons to buy coins on the primary market from the Mint. Weigh several factors, think about what the coin is likely to do in the future, and make a choice. Whether you decide on new or used, the goal is to get the coin you want at the right price.